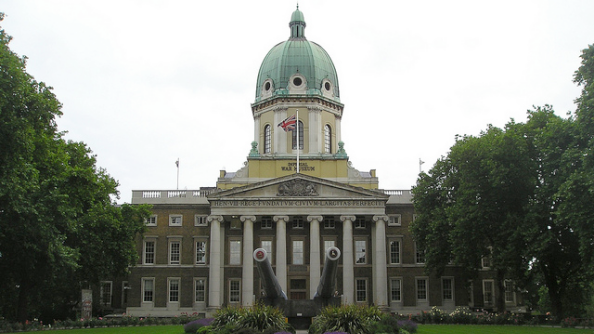 There’s usually a tank and a tank destroyer hulking in the foyer of the Imperial War Museum but, for reasons unknown, they’re not there right now and so I find myself stood on the balcony above with Victor Kislyi, CEO of Wargaming, staring down at an empty space. I am not sure what to say. Kislyi just wants to bring tanks to people. Tanks and planes. Tanks and planes and warships and military history from what he says is the most amazing war that the world has ever seen, and when he talks about any of these subjects he is a fountain of enthusiasm, overflowing with anecdotes and excitement. It’s not hard to understand why he’s delighted to be able to fund a dig for what is believed to be 36 Mark XIV Spitfires buried under an airfield in Myanmar (also known as Burma). It’s just one more way that Kislyi can share his passion with the world. The dig, which is scheduled to begin in January, is the result of a fortuitous confluence of coincidence and is like nothing that military archaeology has ever seen. 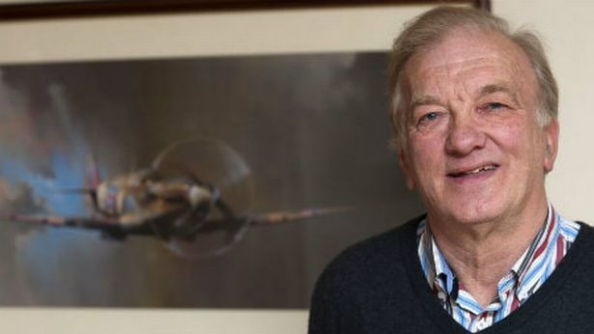 It’s the pet project of aviation enthusiast and farmer David Cundall (above), who has been digging up planes for 35 years and has spent the last 16 of those investigating a strange rumour. The story goes that, in 1945, dozens of British fighter planes were stored in waterproof crates by US personnel and then (very uncharacteristically) buried ten metres underground, somewhere at the end of an airfield near Rangoon. Cundall spent his first two years trying to verify eyewitness accounts and secure a visa to Myanmar and, after eventually managing to make a trip there in 1998, failed to find any evidence of their burial because he was searching at the wrong end of the airstrip. He was fortunate that, two years later, an Israeli team also on the hunt were similarly unsuccessful, although that’s not surprising when you consider Myanmar’s climate. The monsoon season strikes the country between late spring and late autumn, bringing rain storms of such strength that it can take another two months for the water table to lower enough to permit the kind of excavations needed. Hence the January dig, which the team hope to conclude within a few months. He’s even more fortunate to keep the right sort of company. Cundall was able to return to the site in 2004 and, with the equipment and expertise of his friend Dr Roger Clark, a geophysicist from the University of Leeds, surveyed the area with tools that are able to detect electrically conductive materials, exactly the sort of thing you need to find metal buried deep underground. Their survey data revealed what looked like an awful lot of metal about ten meters below their feet, in a position and distribution that almost exactly matched the eyewitness statements. But in 2010 Cundall’s luck would change. Myanmar’s government lifted the house arrest that it had imposed upon opposition leader Aung San Suu Kyi and, following political reforms, looked to be embracing more democratic way of working. 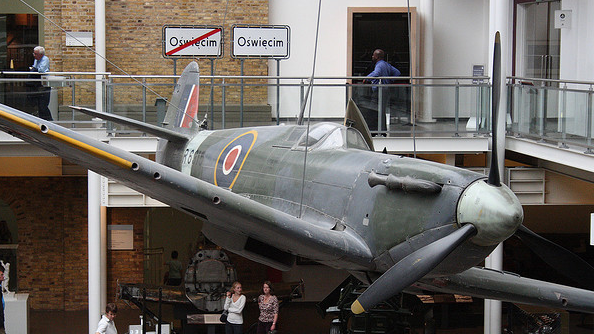 Prime Minister David Cameron visited in April of that year and the Spitfires were on his agenda. “I wrote to him and said, I can’t take this project any further because of the sanctions, but Myanmar is now democratic, I understand you’re visiting, could you possibly talk about suspending or [relaxing] the sanctions to allow me to get these Spitfires out?” Cundall says. Cameron did so. “He actually got to get the President of Myanmar to agree to let me dig at this airport. I have special permission and I signed the contract in October with the President.” The agreement stated that Cundall will have a 30% share in whatever is discovered, while his unnamed agent keeps 20% and Myanmar keeps the remaining 50%. All that was needed now was a cool million dollars to perform final surveys and employ the kind of skilled military archaeologists and civil engineers who could make the project happen. Once again, fortune smiled on Cundall and Wargaming stepped in, Victor Kislyi bringing both his funding and his enthusiasm to the project, all with the aim of celebrating military history. 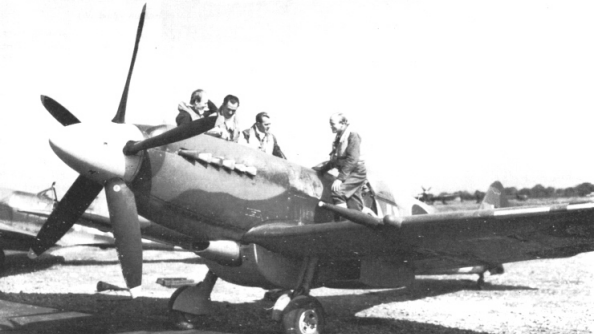 “You’re probably looking at half a dozen of the most altruistic people in the world,” Kislyi (above) said at the press conference earlier, describing Cundall and the archaeologists involved as people of passion who aren’t focused on the estimated £1.5m price tag that each Spitfire carries. The archaeologists are doing it because it’s their job, Cundall because it’s his hobby, and Kislyi is footing the bill because it’s an “adventure,” a “great story” and history buffs “all around the world will rejoice when a Spitfire is found.” Certainly, even a single find would be significant, but if 36 planes really are discovered it will be an event unprecedented in archaeology, a truly historical find. But everyone is well aware that no Spitfires have yet been found, and the best that a camera sunk down an exploratory borehole revealed was some sort of crate with indeterminate contents that might’ve been an aircraft. It’s not entirely clear why US personnel would go to the trouble of carefully burying planes to prevent their capture instead of simply destroying or evacuating them, especially at such a late stage in the war when Japan was in retreat. 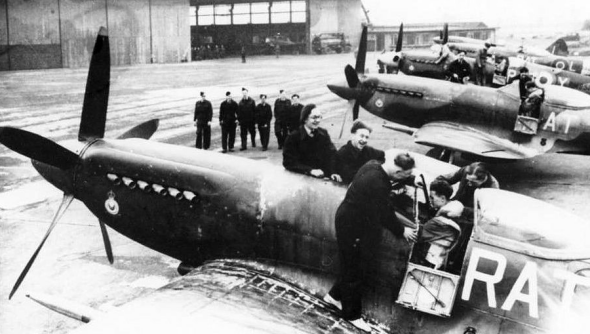 Nevertheless, Cundall tells me that dozens of Spitfires in that theatre remain unaccounted for, the eyewitness statements have been corroborated and, of course, the survey data confirms what those witnesses have claimed. If there are planes to be found, they won’t be intact and, even in sealed, airtight crates, may still have suffered some slight degradation. Any planes found will need to be thoroughly appraised and, though they may one day fly, the careful process of restoration could take up to three years. I ask him why he’s chosen to fund a project to uncover Spitfires in Myanmar when, based on his background, it makes more sense for him to dig for tanks in the former USSR. “When it comes to Russia or Belarus, for example, it can be tricky when it comes to government regulations. At the end of the day, it’s a weapon, so you need a lot of permission, from the government, from the local authorities, so we’re not yet doing anything like this in Eastern Europe.” Is it actually easier to dig in Myanmar than in your own country, I ask. He gives a hearty laugh. Ironically, it might be. Kislyi really does want to bring tanks, planes and every other aspect of military history to a wider audience and this is just one more avenue for this, albeit an expensive and ambitious one. Wargaming have been busy working with the Military Vehicle Technology Foundation in California, which has the largest private collection of WW2 era tanks, with the Bovington Tank Museum in England, which some 70,000 schoolchildren will visit annually as part of their history curriculum, and the Pacific Battleship Center in Los Angeles, where the developer is creating an interactive simulation to tell the story of the USS Iowa. “Nowadays, ‘interactive’ is the way to teach youngsters anything,” he says, and he sees even World of Tanks as educational software of sorts. 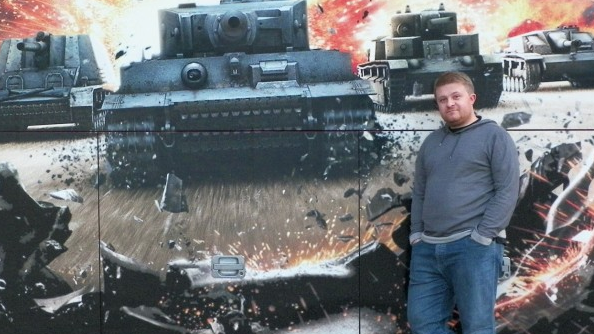 “Before [World of Tanks], how many people knew what a KV-3 is?” he asks me. “Or the difference between a Panzer III and a Panzer IV? Right now, I’m telling you, there are millions of people who’ve gone to libraries, to Wikipedia, who went to archives and they now know the differences between Panzers made in 1943 and 1944. Just the existence of this game, and millions of players enjoying it, makes you go and dig, for personal interest. 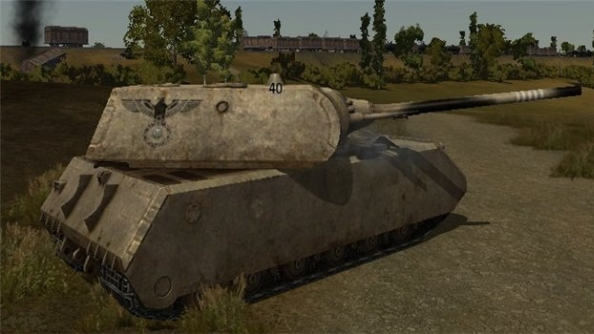 The more you know about your tank or the opponent’s tank, the more skilfully you can play your shots or shape your tactics, and when you start digging into military history, especially war machines? Hey, come on, we’re all boys, We get in, we don’t get out.” I admit, I may have looked at some tanks on the internet. I think Victor Kislyi would like that.